Before Google comes in with its own smartwatches, consumers have two mainstream devices to choose from. On one hand, there is the Galaxy Gear 2, coming from a reputed brand like Samsung and there's Pebble Steel by Pebble Technology Corporation that gained popularity after a successful Kickstarter funding campaign for their first watch. Both the Pebble Steel and the Galaxy Gear 2 are well-designed gadgets. When compared side-to-side, they look very similar, though not the same. 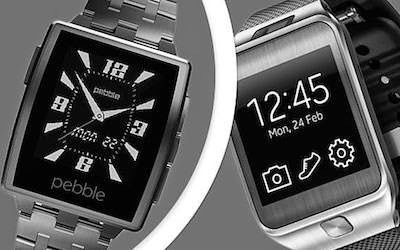 Pebble Steel looks more like a classy watch with a stainless steel body, while the Gear 2 slightly looks more gadget-ish. While the Pebble Steel is slightly curved, the Gear 2 is squarish with a bigger bezel. If you are someone who wants to show off the latest gadgets, Gear 2 is perfect for you. If, however, you want a gadget that looks and feels like a real watch, something you can wear for any occasion, Pebble Steel will definitely win you over. The understated design of Pebble Steel makes it great for everyday use. Be it a party or a formal occasion, it looks very classy and elegant. 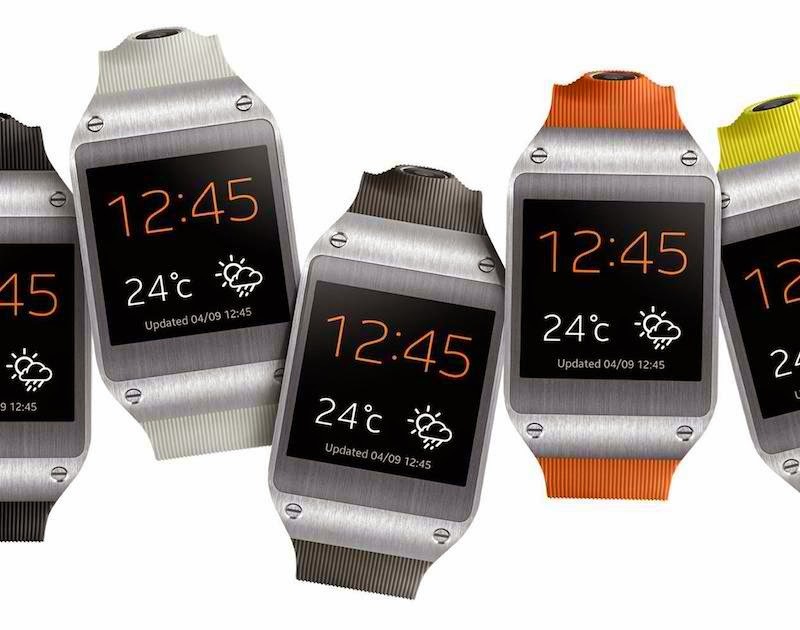 However, that's not to say that Gear 2 looks bad. It's just not as good as Pebble. The Gear 2 features a Super AMOLED multi-touch display. The screen is 1.63" with a 320x320 resolution. With the colored display, you get a PPI of 278, which is not that bad. In simpler terms, the Gear 2's screen can be likened to that of a smartphone. The Pebble Steel on the other hand has a 1.26" screen that is quite small compared to Gear 2. Also, the display is not colored as it features a sharp LCD e-Paper display that is similar (but not the same) as what we see on Kindle. This means that you'll be able to read the screen from multiple angles even in broad daylight. Though, on paper, the Gear 2's display looks better, Pebble somehow steals the show by having an always-on display that runs for hours and hours. In other words, all those traditional watch fans would never be disappointed by this gadget. This is an area where Samsung's Gear 2 wins hands down. The sheer amount of goodies that this watch comes packed with, makes it a lucrative gadget to lust over. Firstly, there is the ability to accept, reject, and even answer calls all using your watch. While this might make you look like a secret agent from some spy movie, we have to admit, it is kind of cool to use that. Then there's the pedometer, the heart-rate sensor, the sleep tracker, and the music player, giving the users a lot more than they asked for. And last but not the least, there’s the 2MP camera. While many won't find it that useful right away, it's still good to have one. The Pebble on the other hand, can't take calls, can't play music, can't track your heart rate, and can't even take pictures. If those are the features you don't need, Pebble is still a great choice. It does have a pedometer and a sleep tracker thus making it a little less disappointing in this department. This is where the Pebble proves to be a true rockstar. It is compatible with most of the popular Android phones, and yes, it works with the iPhone too. The Gear 2, on the other hand, needs a Samsung Galaxy phone with Android 4.3+ to work -a huge drawback on Samsung's part. Both watches vibrate when new notifications come in. You can choose which apps you get notifications from, and yes, both watches work very well with third-party app notifications. If you miss any notifications, you can check them later in the notification center. Both watches are water resistant giving them equal points in this round. Don't worry even if you go swimming with the Pebble, it will work just fine. This is another area where Pebble beats the Gear 2. The Pebble Steel's battery lasts for almost 5-6 days while the Gear 2 can run for 2-3 days max without charging. Undoubtedly, the Pebble Steel wins this round hands-down. Given the fact that the Pebble Steel is designed to be a minimalistic gadget designed for displaying nothing more than text-based apps, it lacks severely on the specs front. If you are someone who wants a smartwatch that can act like a smaller smartphone, Pebble isn't for you. It features a 120 MHz single-core processor and 1 MB storage that allows you to install only 8 apps. The Gear 2, on the other hand, comes loaded with 4GB storage and 1GHz dual core processor. Now these are the specs that you usually find on an entry-level smartphone. So, if you're looking for a device that's future-proof, Gear 2 is a great choice. The Gear 2 costs $50 more than the Pebble Steel. If you opted for the Galaxy Gear 2 Neo instead, you can save more money as it costs $200 only. Coming to the pricing of the two main smartwatches, the Gear 2 costs $300 while the Pebble Steel costs $250. So, if you are looking for a smart companion for your Galaxy phone, you can spend $50 more and get a good smartwatch. The result for this round is a tie as both offer excellent value for money. If you are looking for something classy, something less gadgety, then Pebble Steel is a good investment. It won't do much except a few basic things, but given its open nature and huge compatibility, it is something that can be used as a companion gadget by practically anyone. Samsung's Gear 2, on the other hand, is severely limited due to its lack of compatibility with other phones. This means, if you own a Galaxy phone already, this is an investment you won't regret. The watch pairs beautifully with the phone making it a great utility. If you don't own a Galaxy phone however, buying one for a Gear 2 watch, isn't a smart investment. 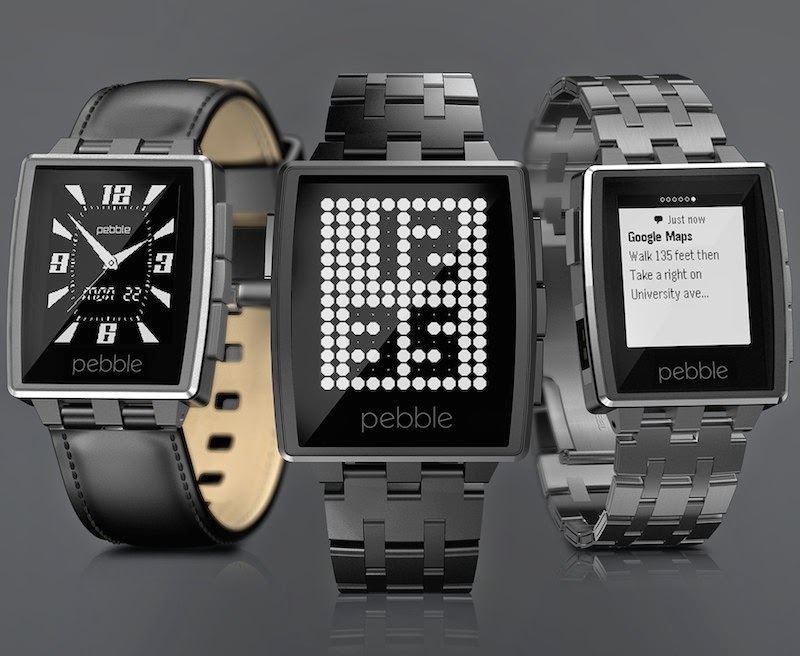 Instead, either you can wait for Motorola to come up with its own smartwatch, or you can go for Pebble.